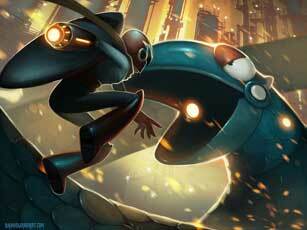 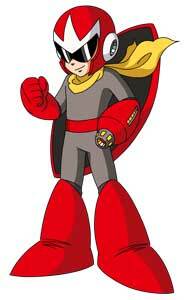 Proto Man is a playable character and mainly a protagonist in the Mega Man series by Capcom. 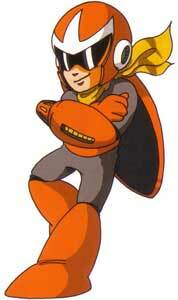 He debuted in Mega Man 3 (1990) and helped Mega Man through a “training”. 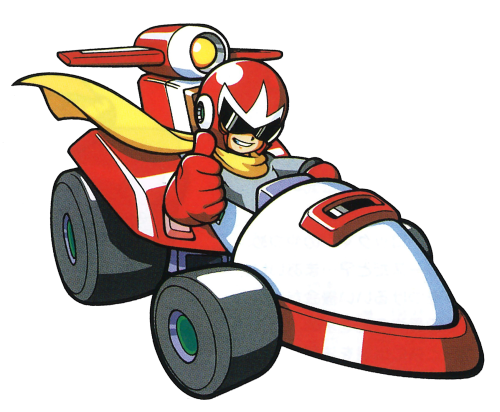 In Mega Man 5 (1992) he helped Mega Man to discover the evil plans of Dr. Wily who tried to frame Proto Man as the villain. 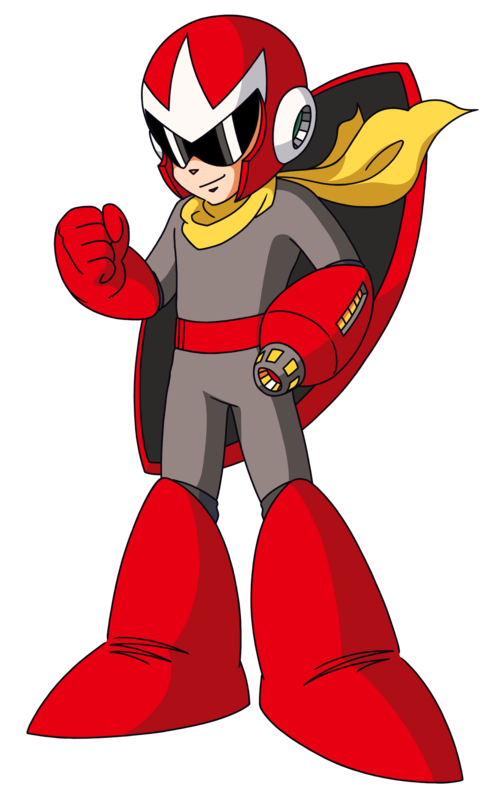 Proto Man is also playable in several main series Mega Man games, such as Mega Man Powered Up (2006), Mega Man 9 (2008), and Mega Man 10 (2010) as well as in many of the spinoff games like Mega Man: Battle & Chase (1997) or the fighting games Mega Man: The Power Battle and its sequel Mega Man 2: The Power Fighters. 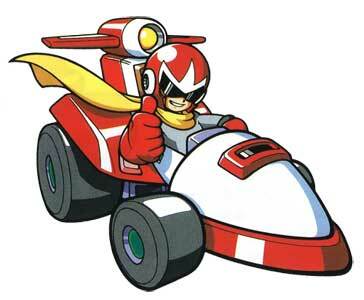 Proto Man was created by Dr. Light and can be described as an “older Brother” to Mega Man and Roll.